I find it a bit hard to believe that Labour will leapfrog the Lib Dems in 2015. Given that this was one of their targets for a while. Seem to recall a young David Laws contesting this before he took over Yeovill the following election. If their Great White Hope to actually win something is getting NF into just the right seat at just the right time he will be rather a solitary soldier for them in Westminster (presuming that strategy works).. Survation provides not much hope of anything but the NF effect getting them beyond runners-up..
That’s a very modest drop for the LDs. Given how lamentably they’ve performed here since 2010 – they were completely wiped out off Shepway council in 2011, and had to win a by-election to get back on it again – surely they will sustain a greater loss of vote share than that. I’d expect UKIP to be quite a bit higher, and Labour slightly higher. The Lib Dems have faded from view a lot here in recent years, and I suspect their slight increase in 2010 was because of the Michael Howard factor in 2005. But this will in all likelihood become safer for the Tories once again like it was before 1987 in terms of five figure majorities. In the run up to the 1997 election supoorters of the Referendum party were going up and down country telking people how they would be running the Tories close across the South East. Rice was President of the Richmond Park Conservative Association & as such I have met him at election counts, and found him to be OK. I hold no brief whatsoever for his politics whether Tory or UKIP, but the fact that he ceased to work with Andrew Lloyd Webber is greatly in his favour…….. They did have some good results in 1997, considering they were a new party, particularly in the South. John Aspinall’s result here was impressive, as was Jeffrey Titford in Harwich as well to name another. It seems to be the case that UKIP could do just as well, if not better, than these two managed in these respective seats for the RP. Finally something we agree on Barnaby! Not with me. Edwina was a very good constituency MP and proves that you don’t have to be on the left of the Tory party to have sensible (in my opinion) views on Europe. She was on Newsnight the other day reminiscing about Spitting Image. It was a really enjoyable discussion. On the Referendum party, The Results, as quite often with his pronouncements, suffers from being too young to remember the period. Reading about history often removes some of the necessary context and leads you to an erroneous view. Their 1997 election campaign used up enormous amounts of money, mostly from Goldsmith, and as Tim says the pre-election hype was that they would create an earthquake. Tory candidates were arguably more afraid than they are today about UKIP, causing them to defy Major and sign a pledge to rule out joining a single currency. Compared with the hype and money spent their performance was very poor; this was the point David Mellor was making at his count. Despite having different opinions about Currie I also enjoyed her and John McCririck. John is always great TV, his best moment in my eyes being his attack on Blair at Robin Cook’s funeral. I’m sure Cook was having a good laugh looking down at the shock in the church. I think he made a mistake with his age discrimination case, as someone who usually derides such things he made himself look a bit of a hypocrite. It was as if she almost enjoyed telling people she had been cheating with him, bragging about it, and criticising Major for saying he was ashamed of it, even though she was probably right in saying he wasn’t. I think Edwina timed her revelations to boost sales of her Diaries. It didn’t work, I picked them up in a bargain store a few months later for £1.99. That isn’t necessary a bad thing though is it. Just because I wasn’t old enough to remember what was going on at the time, does not mean I have an erroneous view. In any case even if I had been, I suspect I wouldn’t have seen the Referendum Party candidate going down my road and others nearby all the time, as they didn’t do all that great in Crosby. I don’t think Edwina is liberal for a Tory on most issues, certainly not on matters such as benefits where she is actually more extreme than most Tories. She is pro-European & is not a strong anti-abortionist, but otherwise she is pretty right-wing. However, she has a manner which can rile even those who might agree with her. I think it was Tim who said that she conceded defeat in 1997 graciously, and that’s true, though she must have known that she would lose a long time before it happened, and her candidacy in the 1994 Euro-elections (for those who don’t remember, she contrived to lose the Bedfordshire & Milton Keynes constituency to Labour by over 30,000, a truly shocking result even by the standards of that tour de force for the Labour Party) showed that she didn’t by that time have a fully-fledged commitment to being an MP any more anyway. I don’t doubt that she was a good constituency MP, and I don’t find her views on Europe abhorrent, though I am a left-wing anti-EC person myself, but I still think she’s horrible despite these points. Listening to her on Radio 5 Live phone-ins & discussions, in particular, is not conducive to sleep or a generally happy life, at least not for me. On its creation in 1994, Bedfordshire & Milton Keynes consisted of the parliamentary constituencies of Luton South, Mid Bedfordshire, Milton Keynes South West, North Bedfordshire, North East Milton Keynes, Luton North and South West Bedfordshire. Well in this case, you do. The day after the 1997 general election, the near universal opinion of the referendum party was that they had not performed anywhere near up to expectations, though their relatively low vote was still certainly enough to lose the Tories a few extra seats. Ironically, Currie came to national attention before she became an MP by waving a pair of handcuffs during the home secretary’s (Whitelaw) speech at the Tory party conference in the early 80s. I agree, she seems to have changed her hanging and flogging views when she was elected. Tim is also right about the Euro seat. It would have been a Labour gain anyway. Even in an even year for the Tories, Luton is now very strongly Labour and Bedford and Milton Keynes are marginal. Currie is a self-promoting opportunist who I suspect would adopt whatever positions fitted with that. Self-promoting opportunists in the Tory party are not outspoken pro-Europeans. Yes Bedfordshire & Milton Keynes was a seat Labour would have won, that’s true. What was shocking was the sheer extent of Currie’s defeat – my memory may be playing tricks, but I seems to recall it was something in the order of 80,000 Labour v 50,000 Currie. I may be wrong but I don’t think the swing was much different to average in B&MK in 1994. Tim your recollections of the 1994 Euro-elections aren’t really correct. 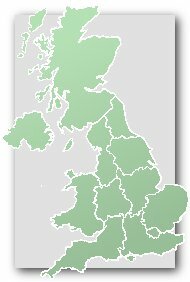 The Tories managed to lose some constituencies where they should have been comfortably ahead, such as Essex W & Hertfordshire E, which did include both Harlow & Stevenage, but whose other 5 Westminster seats were all totally safe Tory, and even Kent E which while including Dover should have been totally safe. The only crumb of comfort the Tories had was a rather ironic one given today’s situation; they managed to hold very narrowly on to Worcestershire & S Warwickshire, which was a seat Labour had very slight hopes of taking, apparently because the Labour candidate Gisela Gschaider was unpopular as a German in a British Euro-election. Of course, nowadays as Gisela Stuart she is one of Britain’s most popular constituency MPs. The fact that the Tories could actually be relieved to hold that seat is indicative of what a horrible election it was for them. And remember, this was before Tony Blair took over ; that election took place after the death of John Smith, but before the Labour Party had elected a replacement, so in this triumphant hour Labour were led by the party’s Deputy Leader, who was Margaret Beckett. It was a horrible election for the Tories, but the local elections the next year were even worse still. Huggett wasn’t acting as a stooge – he targetted both Lib Dems and Tories. I can’t remember his actual motivation, but David Boothroyd cites it as the result of a family feud. He attempted to stand in Winchester in 1997 under the assumed name “Gerald McClone” but this was refused, so he instead stood as a “Liberal Democrat Top Choice for Parliament”. At the same election he attempted to stand in Brighton Pavilion using the description “Official Conservative” but got an injunction taken out against him, instead he stood against the official candidate in Brighton Pavilion just using a “Conservative Party” description. I think the Lib Dems will capitulate here in Folkestone and Hythe cementing their continual decline locally. They cam fifth in the recent County Council elections las year and sixth in the places where there was a Green challenger such as Hythe where the Greens won a county council seat. I suspect that the Tories will hold the seat with a reduced majority from UKIP and Labour. Labour will probably double their vote as they are now very active in Folkestone and saw their vote treble in some seats at the county council elections. So I predict a battle for second between Labout and UKIP and a battle for fourth between the Greens and Lib Dems. Very bad for the Lib Dems. Wonder if this will be repeated in other Southern seats? Still, seems difficult for UKIP to break first place. Perhaps this might be a target not just because of the somewhat favourable demographics for UKIP, but because of the very mainstream, rather pro-European views of Collins. In all seriousness I think Collins will hold on. I can’t really see UKIP gaining a single seat in 2015. With enough targeting I’ll stick by my prediction of UKIP getting 7+% of the vote and 1-5 seats. If Farage can’t lead in this poll now, when would he? After winning the Euro elections? I’ll stick with my prediction of 5% and no seats in 2015 for UKIP. As I’ve said before I’m quite sympathetic to UKIP on some matters (grammar schools being one) but I actually thought the first debate was very weak for Farage, I thought it showed him in his worst light. He was more measured in the second one I would admit. I still think that most people will vote for a party that could realistically be involved in government, however disillusioned voters are with politicians. So I’ll stick with my prediction although will happily hold my hands up the day after the election if I’m wrong. 5% for UKIP would be one of the most spectacular polling collapses in history. I think they’ll end up with more than 5% but no seats. I think if the 2015 GE is a close one (as seems highly likely), then UKIP will suffer from UKIP tempted Tory voters returning to their party. UKIP’s first or second place at this year’s European elections will be a fading memory by May 2015 and if Labour and the Conservatives are neck and neck in the GE campaign, then their potential vote is likely to be sharply squeezed. If however the Tories are 5 points or more ahead of Labour this time next year, which is possible but not likely IMO, I think there may be a higher UKIP vote. I do not think they will win a parliamentary seat in any event. The tories in my view are toast- they will do well to get 260 seats. Ukip will damage them very considerably in marginals in the midlands particularly. The tories will do well to keep UKIP to 8% of the vote. I think the press and the mainstream right in Britain is in complete denial about how catastrophic the rise of UKIP has been. People still (admittedly few) talk of tory majorities, but the truth is the rise of UKIP will probably hand the keys of no. 10 to an unimpressive labour party. How quickly the tories recover from that will be determined by the subsequent trajectory of farage and his merry band of kippers. I wonder. I just think that with the economy improving they will do somewhat better than that. I know Europe is and remains a deep fissure within the party, but usually once they get a foothold in power, they somehow contrive to stay put for longer than expected. This sort of talk is like Generals fighting the last war. You, I suspect, and I grew up in an era when the tories were the “most successful party in the Western World”, an “electoral winning machine” and when the phrase “Tory Central Office” conjured up an image of great efficiency, meticulous planning and strategic competence. Since 1992, this simply has not been the case. A person would have to be 40 today to have been old enough to vote in the last election the Tories won a majority. I suspect 2015 will show to everyone what has been obvious to some for a while, the right in Britain is in a fundamental crisis. As Churchill said of Cromwell…he was so fixated with the power of Spain in his youth, that he couldn’t see the rise of France. I think a lot of commentary is of this kind. I could be proved wrong, and Cameron could score a memorable victory as the Tories win a majority in 2015… I just don’t think so. OK – point taken. I certainly don’t think the Tories will storm to a 100 seat overall majority, but they still might be difficult to turn out if the economy picks up further. You say the right is in a crisis, but our democracy per se is also in crisis. When parties dare to hope to win an overall majority with little more than a third of the votes cast, something is going badly wrong and the legitimacy of the system is thrown into extreme doubt. After the botched fiasco of the AV referendum, any chance of sensible electoral reform to correct this nonsense is out of the window for quite some time. I just to put the opposing view ; no electoral reform which is talked about seems to me to be sensible or fair.